Calgary Quest Children’s Society in Calgary provides wonderful, tailored education for children with special needs, developmental, and physical disabilities. The teachers, instructional assistants and kitchen staff recently became members of Local 401 in 2015. With the opening of the new 401 Calgary office, there was a lot of office furniture that was in need of a new home. And so was created the opportunity for the union to donate a number of much needed items to the school. Quest staff told us that items such as bookshelves, computer tables, and desks would be welcome and so on this last November 14th 401 staff loaded up a trailer and delivered these items to the school. We are really excited to say that the library is now coming along really well and looking pretty spiffy! 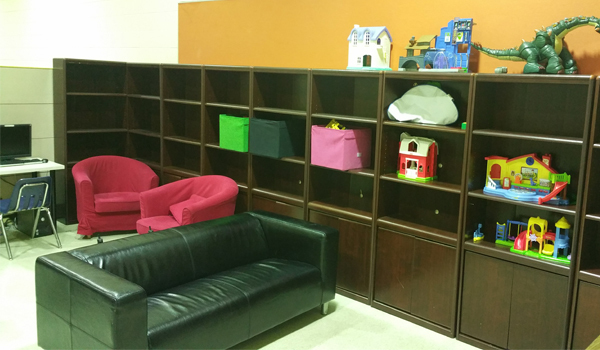 “We are very grateful to our hard working members at Quest and could not be more honoured to be able to donate these items for the students to enjoy”, said President O’Halloran.